Typhoon Lan is expected to bring heavy rains and destructive winds to southern Japan on Sunday during the Lower House election, forcing officials in Okinawa to stage voting a day early on some remote islands. The category 1 typhoon, located east of the Philippines on Friday morning and moving north, is expected to gain strength as it comes some 200 km (125 miles) east of Okinawa by Sunday, the Meteorological Agency said. “It will likely rain very heavily in the Nansei island chain, in the Pacific side of western and eastern Japan from the 21st to 23rd. There is a chance it will rain violently in some regions,” the agency said in a statement. According to the Tropical Storm Risk website, the 21st typhoon of the season will likely strengthen to category 3, but weaken again by the time it brushes past Tokyo on Monday. Local authorities in Okinawa have decided to move the voting date to Saturday for some remote islands. 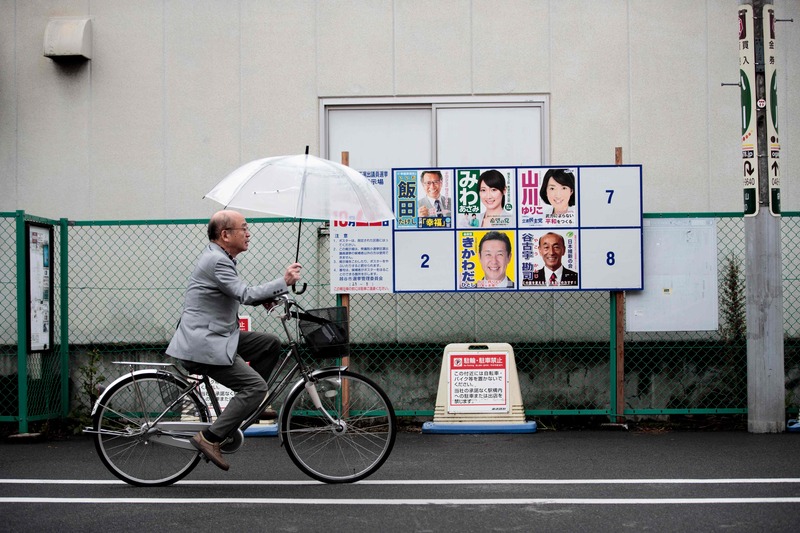 Tomoaki Iwai, political science professor at Nihon University, said the adverse weather is likely to hurt the standing of Kibo no To (Party of Hope), a new party led by popular Tokyo Gov. Yuriko Koike. “Voters with no party affiliation tend not to go and vote (in bad weather). So, parties that are dependent on the general mood of the voters at a given time, like Kibo no To, are set to suffer,” Iwai said. 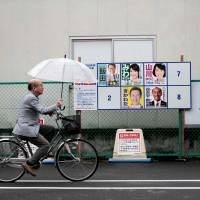 He said some supporters of Prime Minister Shinzo Abe’s Liberal Democratic Party may opt not to brave the weather to vote as well, believing, based on recent media polls, that the ruling party has the election in the bag. The LDP-led coalition is on track to roughly match the two-thirds “super majority” it held in the Lower House before dissolution, helped by the scrambled opposition camp and jitters over North Korea’s nuclear and missile provocations, media forecasts have said.